Fabian Kwok (right) celebrates his third goal of the season. 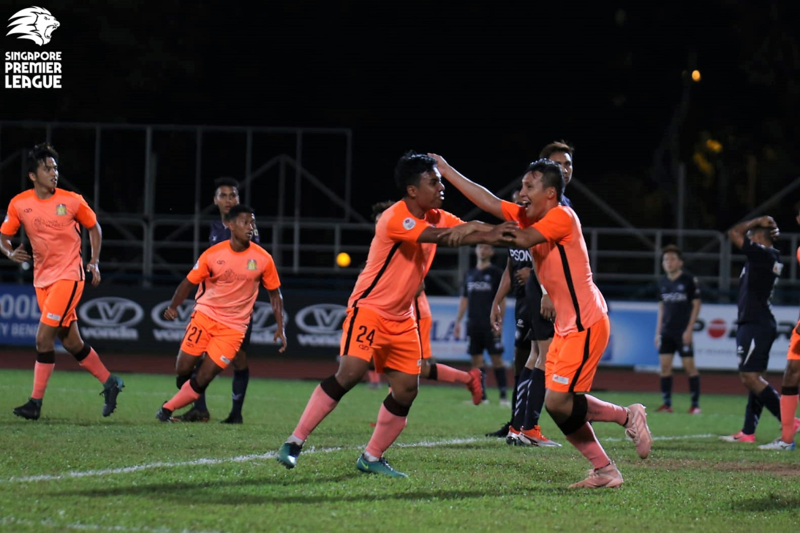 SINGAPORE, 29 SEP 2018 – A last-gasp goal from Fabian Kwok salvaged a 1-1 draw for Hougang United FC against Geylang International FC on Saturday evening as the Cheetahs finished bottom in the 2018 Great Eastern –Hyundai Singapore Premier League (SPL) season without winning a single home game. Unused subs: Basil Chan (GK), Sadiq Abdul Rahim, Ryson Yap, Ahmad Zaki .